Of all the questions I see regarding the Old Testament, this one is the most common: Why don’t we, as Christians, follow the Old Testament Law? Prior to reading this article, I strongly recommend reading this one about OT Law in OT-era Judaism. This question is a bit more complicated than it appears initially. The main related question that has plagued us throughout our history is this: Are we Jews? Or are we Gentiles? Are we part of God’s covenants with Abraham and with Moses in addition to his covenant through Jesus? “It is my judgment, therefore, that we should not make it difficult for the Gentiles who are turning to God. Instead we should write to them, telling them to abstain from food polluted by idols, from sexual immorality, from the meat of strangled animals and from blood. Peter’s judgment in terms of what laws should be kept seems like an early rendition of the Laws of Noah – they center around some of the same ideas, avoiding idolatry, avoiding food which was created by harming animals, and “sexual immorality” which was narrowed down in the Noahide Laws to “adultery”. Other Laws are abandoned by the early Church’s gentiles, and Paul ended up becoming one of the largest fighters for this interpretation, with his letter to the Galatians going as far as to say, in Chapter 2, that people who promote the opposite teaching (that gentile converts must first pass through Judaism and follow the Laws while Christians) are “false believers who have infiltrated our ranks to spy on the freedom we have in Christ Jesus and to make us slaves”, and in chapter 5 he goes even further, saying (hopefully hyperbolically) that he wishes those who think gentile converts should be circumcised would “go the whole way and emasculate themselves”, and that if you follow the Law Christ is “of no value” to you. Paul’s radical stance on this appears to have been pretty widely accepted (moreso than the opposite belief), but he still came under fire from other people in the Church, claiming to be Christians, who disagreed with him, and ended up having a few confrontations with guys like Peter, who slipped once or twice in spite of having made the original judgment in Acts. I (obviously) agree with the judgment made by Peter and by Paul – the Law is of some value to the Hebrews who have not found Christ, but Christ liberates us from that necessity, and we are part of a new Covenant. The scripture referenced by Peter says that the Messiah and Israel shall be a light to the gentiles, not that they would become Jews, but that they would also find the path to God, something which the Jews believed was possible without having to follow the Hebrew Law. I don’t know why that deal would suddenly change or what the purpose of the Messiah would be if the same laws which existed to redeem Israel before he came also existed afterwards and were, for some reason, extended to gentiles. If that were the case then Jesus’ coming wouldn’t have marked that big of a change, or any particular forgiveness which was greater than the forgiveness which existed prior to Christ. Pretty scary stuff for the person who rejects a Christian’s need to follow OT Law. Fortunately, further education on the subject might give us an obvious way out. 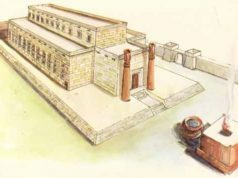 David Bivin has pointed out that the phrase “fulfill the Law” is often used as an idiom to mean to properly interpret the Torah so that people can obey it as God really intends. The word “abolish” was likely either levatel, to nullify, or la’akor, to uproot, which meant to undermine the Torah by misinterpreting it. Looking at the passage closely in Greek, we see something similar: There are two central verbs: katalysai and plerosai. Katalsai means “to annul” or “to set aside”, and given its contrast with plerousai, should be taken as its opposite. Put differently, katalsai seems to be concerned with teaching rather than action, so we may assume the plerousai deals with teaching as well. This supports the interpretation of… “interpret”. 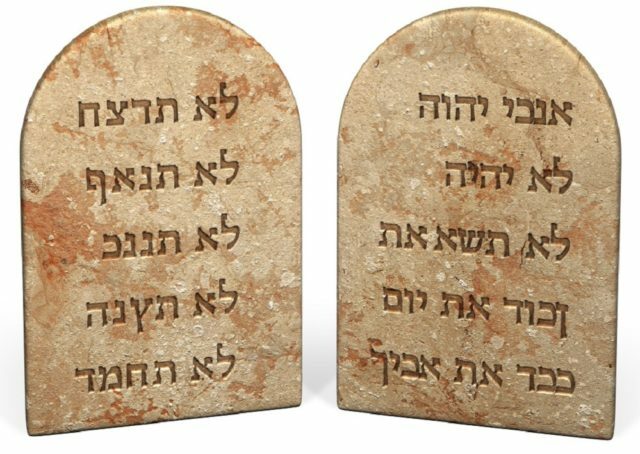 And Jesus’ interpretation of the OT Law was pretty clear – he stated, many times, that the Law was fulfilled if you met the two underlying commandments that made up the whole, the intents and values which were behind the OT Law (according to the words of Jesus): Love God, love your neighbor. He felt that the Rabbis of his day were being bogged down by the letter of the law and missing the underlying spirit, and that if you followed the commands which composed that spirit you were, to use his words, “not far from the Kingdom of Heaven”. Which all meshes pretty well with the passages referenced earlier in this whole spiel. Therefore, I hold the interpretation that Christians are not bound by Old Testament Law. But what about the Moral Law? This section will have an article dedicated to this topic which I will link here after it is done. You see these kinds of distinctions pretty commonly in discussions of the Old Testament. It would appear that there is some degree of… Functional grouping in the Old Testament. Acknowledging that can be helpful in interpretation, but it is ultimately just that, an interpretive tool. 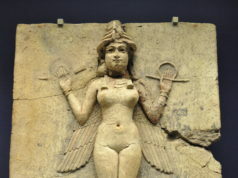 All of the Old Testament Law is moral, in that it all has moral reasoning behind it. All of the Old Testament Law is ritual, in that it is part of the rituals prescribed for the Hebrews as part of the covenant. If you study long enough you’ll find verses that appear “out of place” or appear to fit in both categories. If you want to see for yourself how tenuous this kind of reasoning is, ask a conservative to tell you which category contains Lev 18:22 and what that means for our interpretation of the verse. Yeah so… Christians shouldn’t consider themselves bound by OT Law. 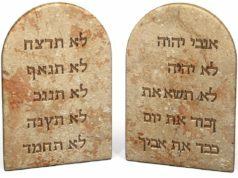 The original intent of the Law is that it is part of God’s covenant with the Hebrews and the Christian New Testament teaches that they aren’t binding. Bam.